The Grand Canal is the world’s longest man-made waterway, being 1,800 kilometers long. 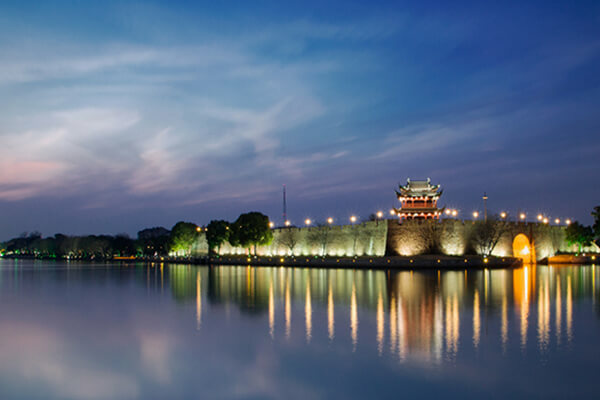 The canal connects the present cities of Beijing in the north and Hangzhou in the south, which served as dynastic capitals in the past, and contains 24 locks and 60 bridges. As a UNESCO world heritage site, and the longest canal in the world, the Grand Canal has so much history to offer the traveller . Within Jiangsu the canal stretches 325KM through the 8 cities including Suzhou , Wuxi and Yangzhou…etc. Take a trip along the canal to experience the unique feeling of Jiangnan culture. 3. Take a night cruise on the ancient canal. 2. Afternoon tour Lingshan scenic spot, Qingming bridge ancient canal scenic spot.